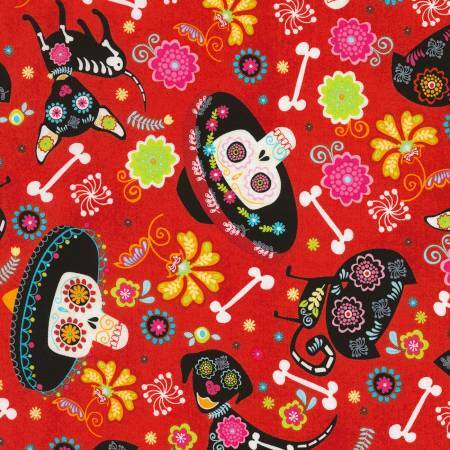 This is a large catagory of fabrics which encompasses the festivities around the fall festival called "Dia de Muertos". 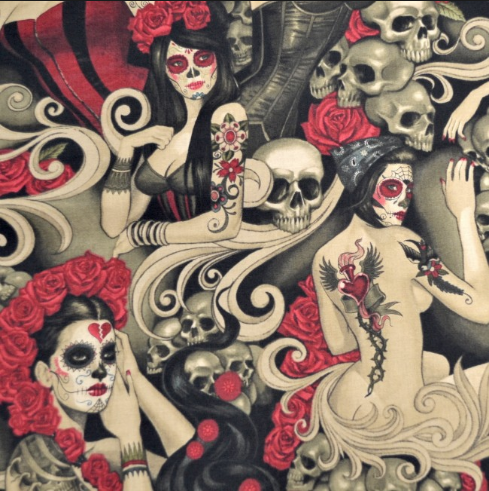 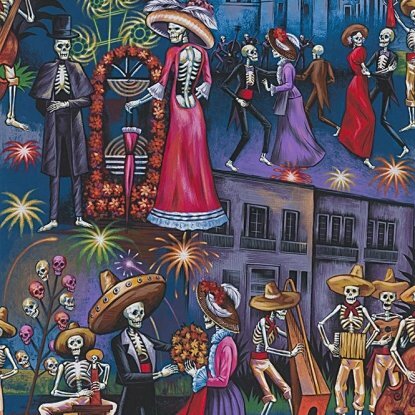 You'll hear it mis-translated as "dia de los muertos". 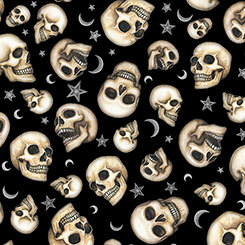 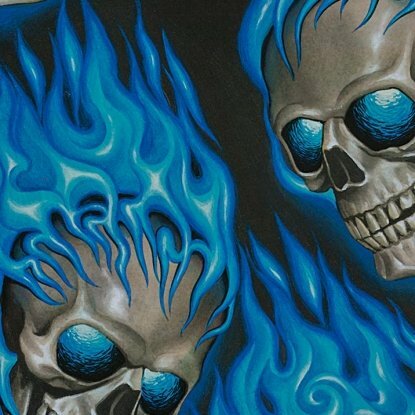 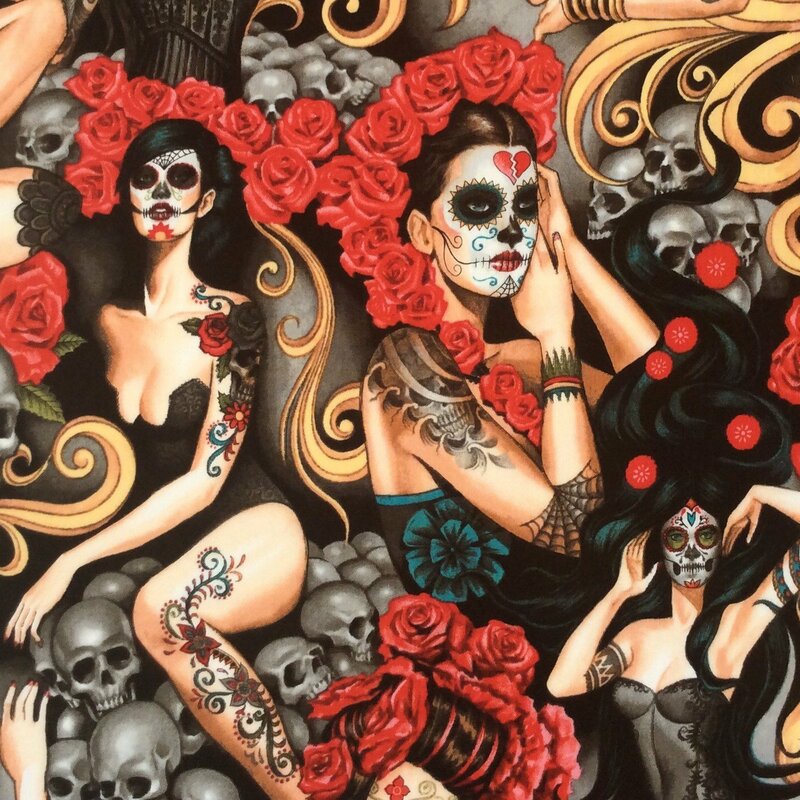 This celebration of life uses the imagery of death to recall those who have gone before. 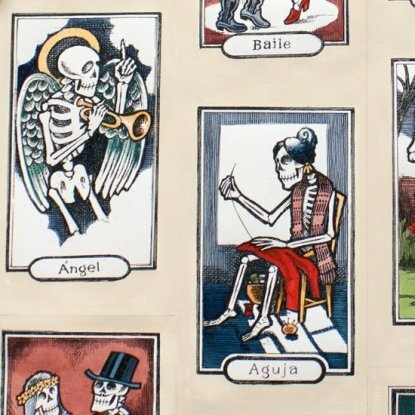 Loved ones are depicted as skeletal figures enjoying in the afterlife those things they held dear in life. 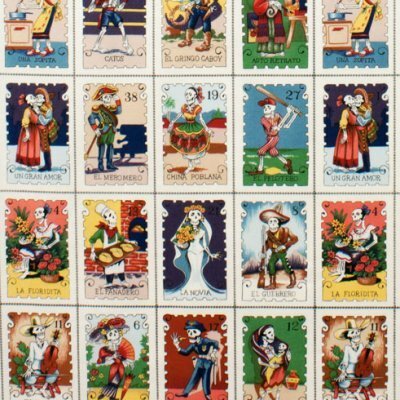 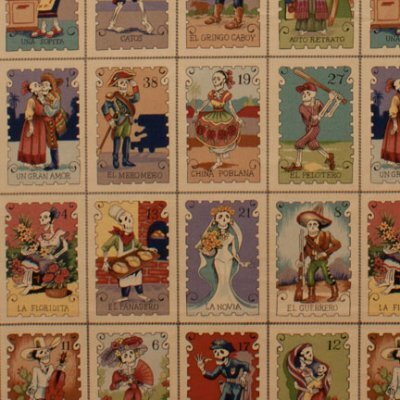 Perhaps the most notable figure of the group is "Catarina" who was depicted by Frida Kahlo on several occasions in her art and in costume, as a photographer's model. 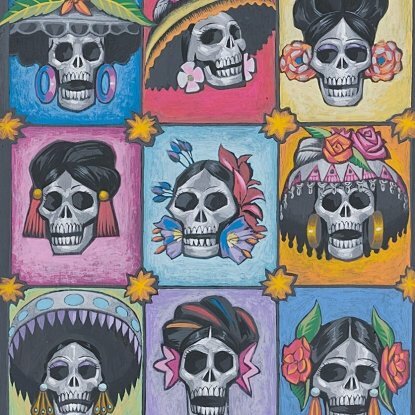 The festivals include sugar skulls or calaveras, which are decorated with bright colors and often marigolds, the flower of remembrance. 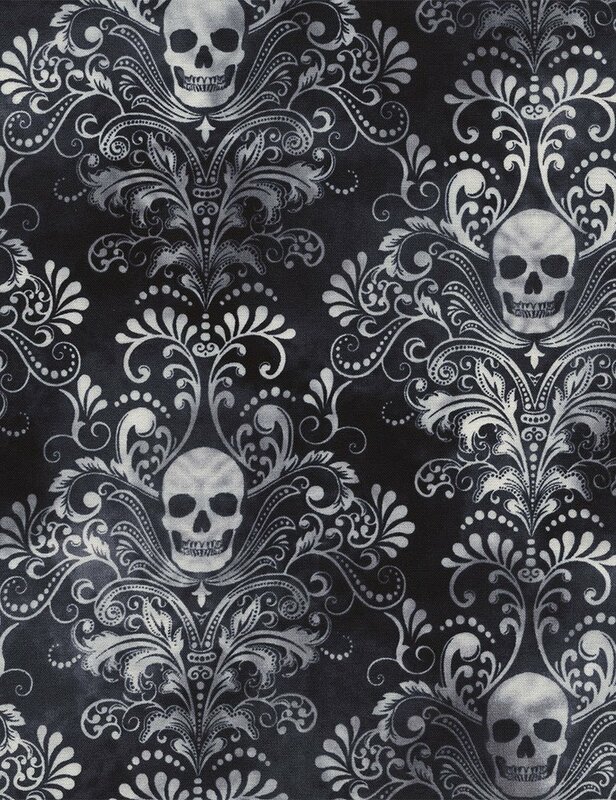 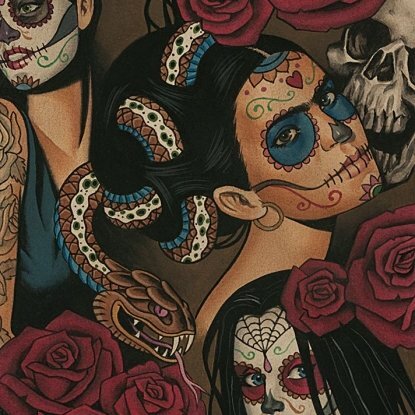 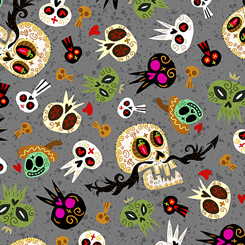 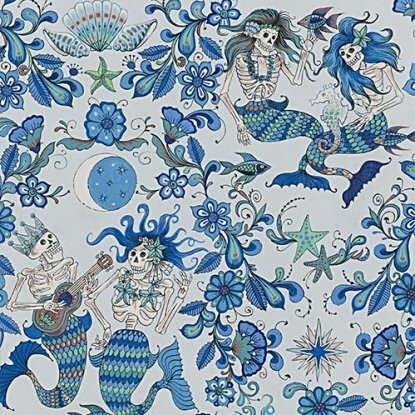 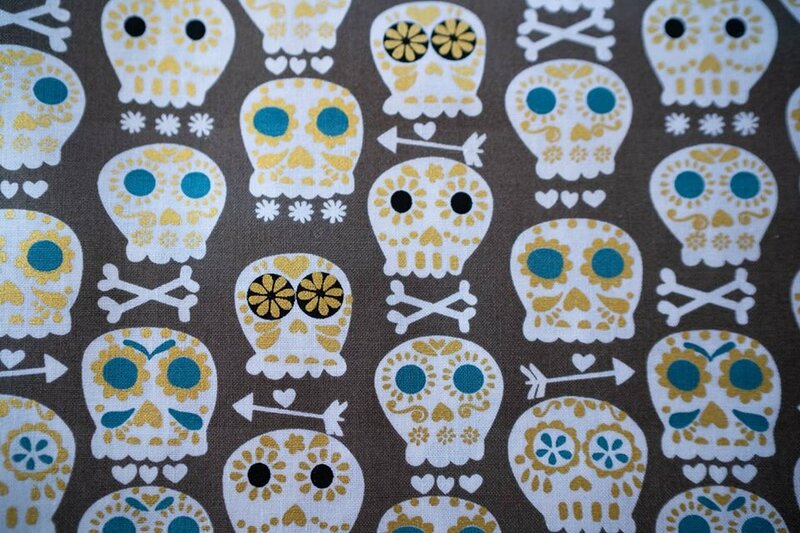 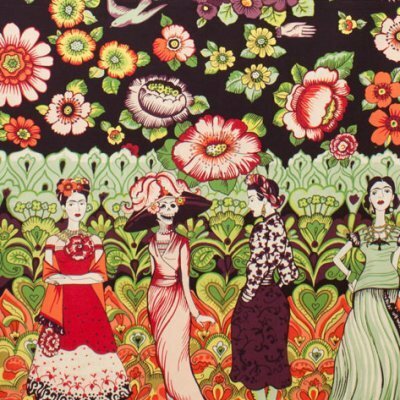 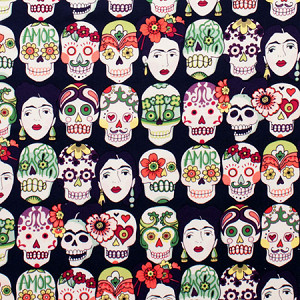 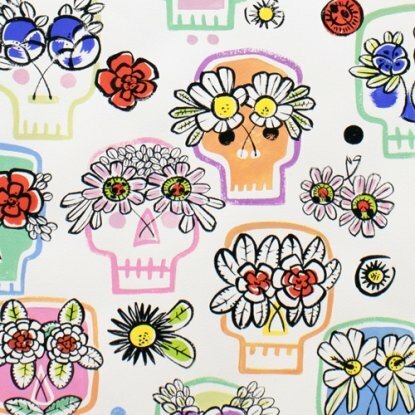 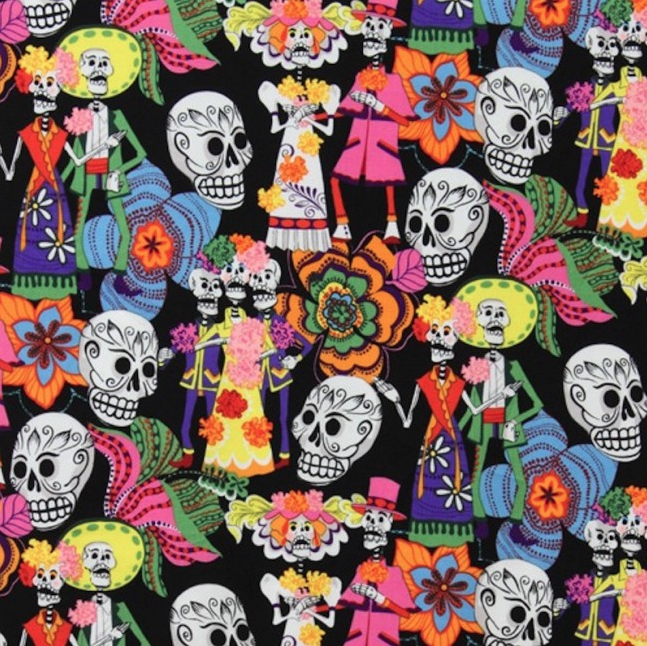 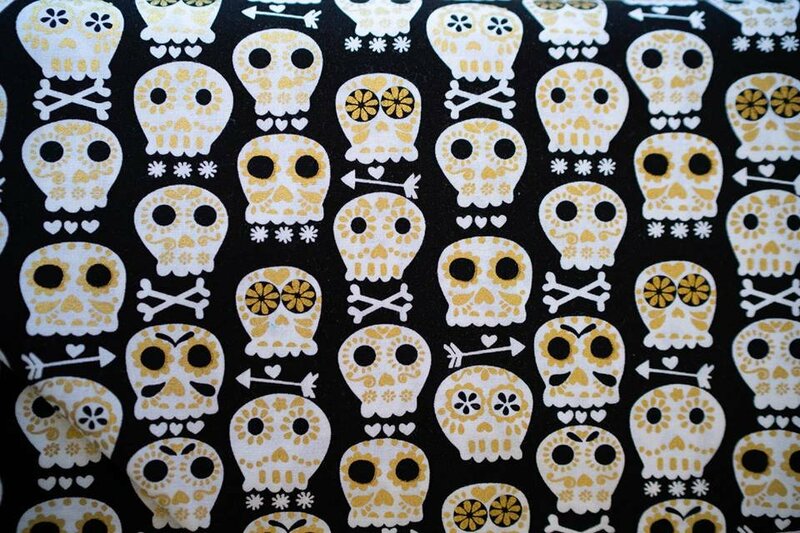 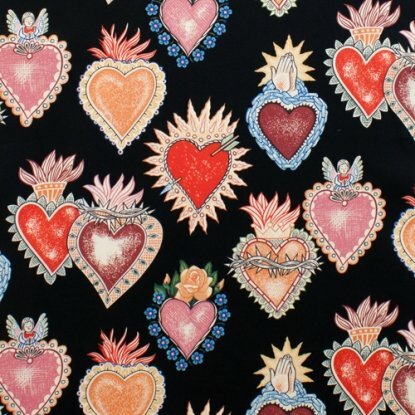 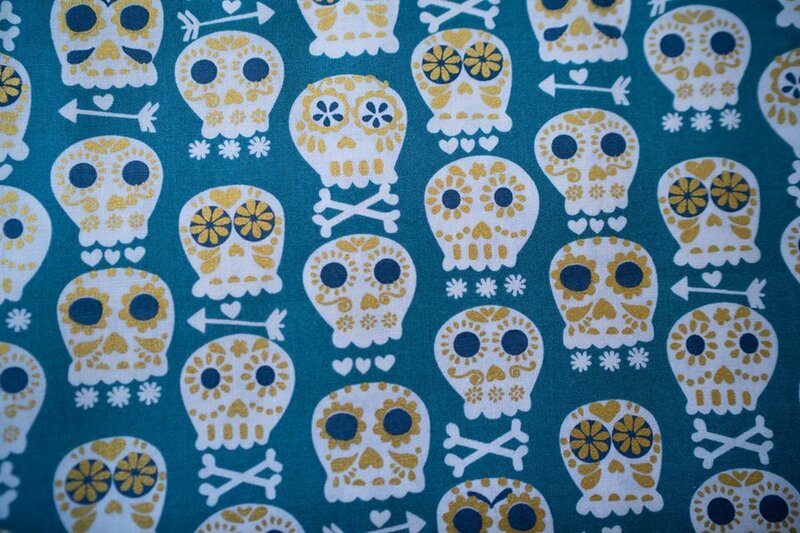 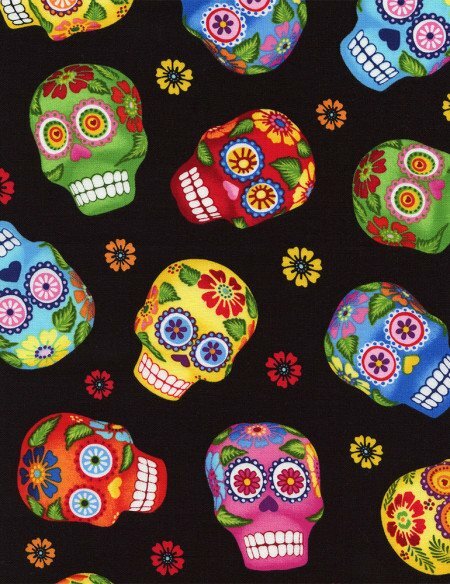 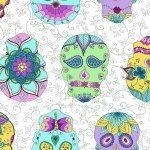 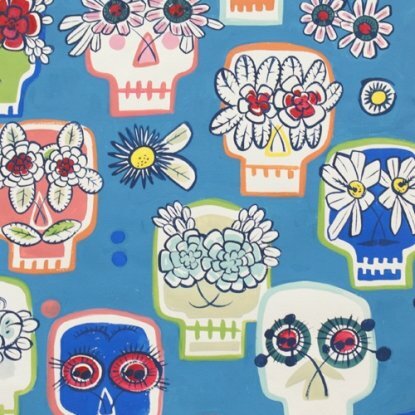 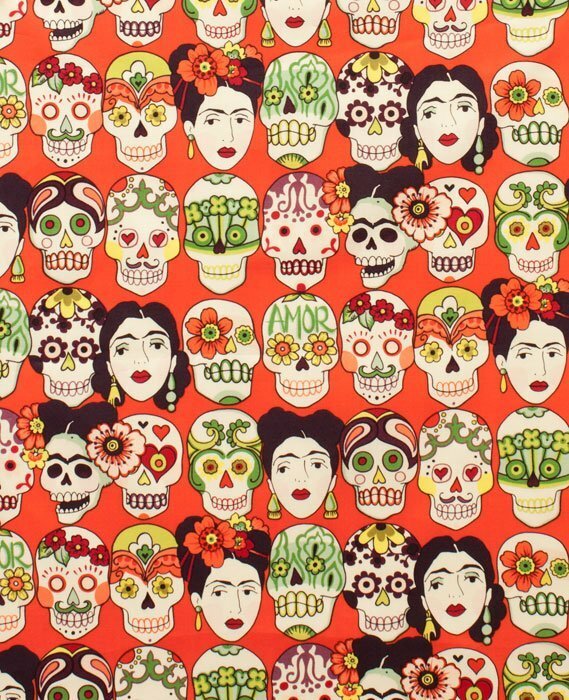 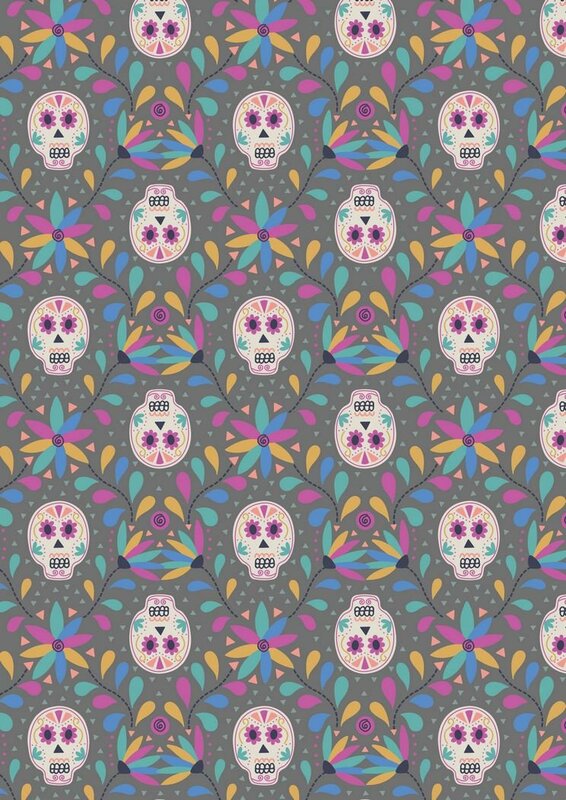 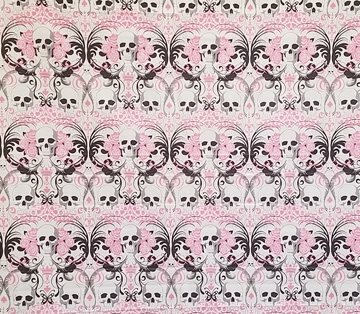 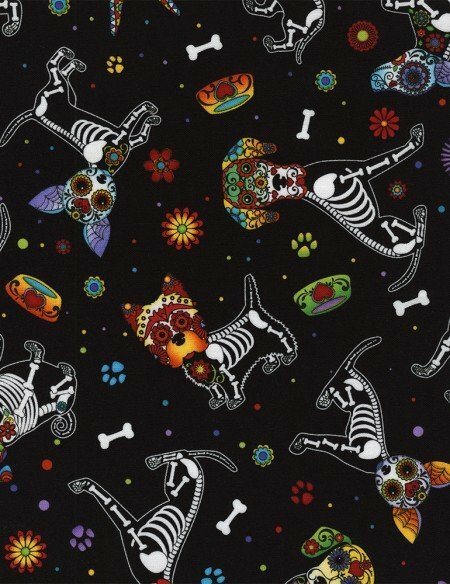 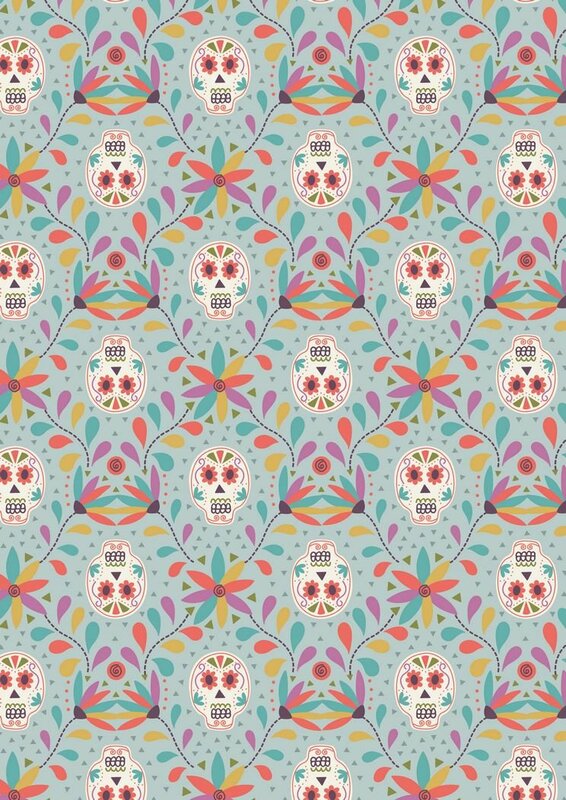 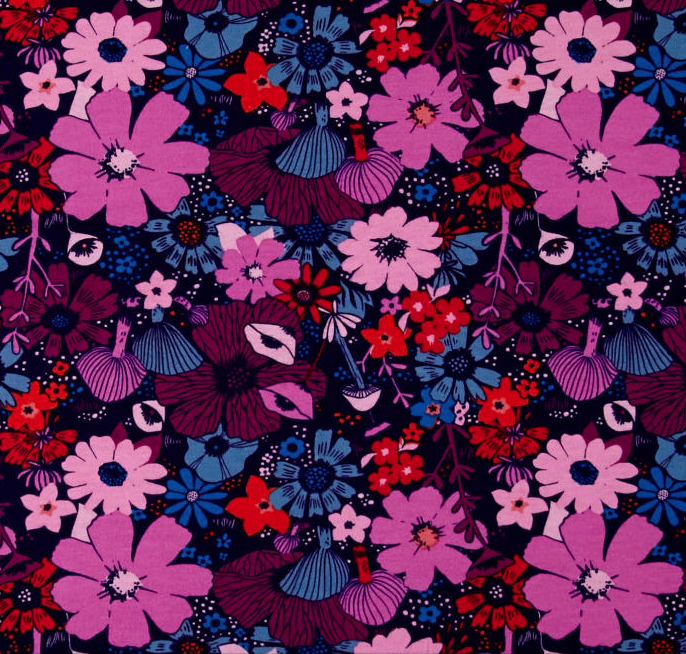 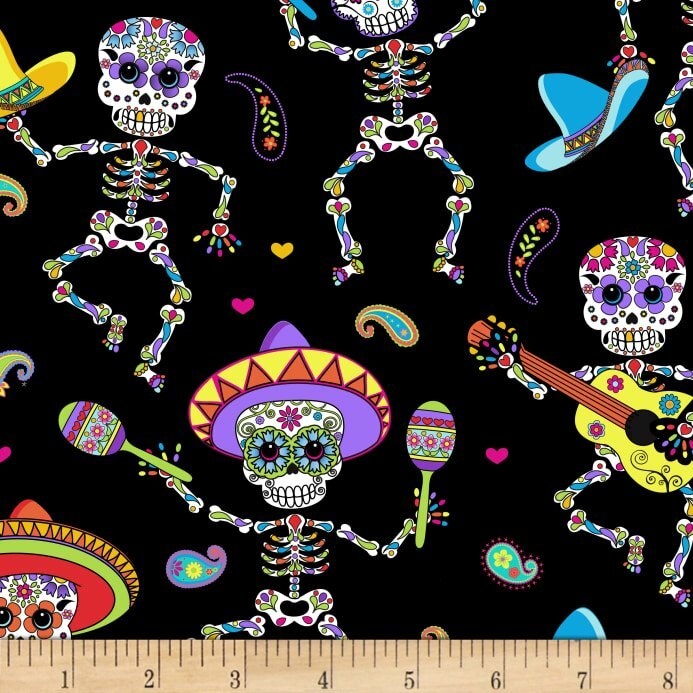 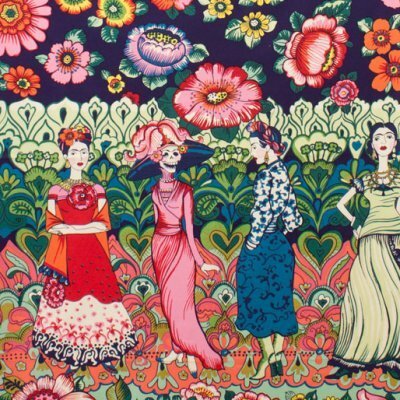 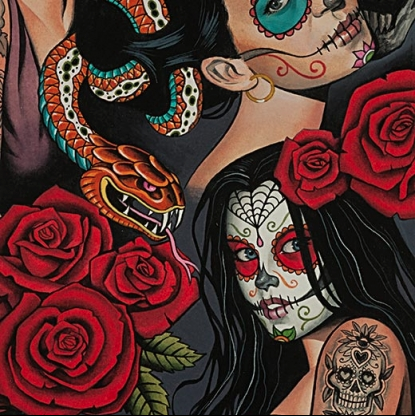 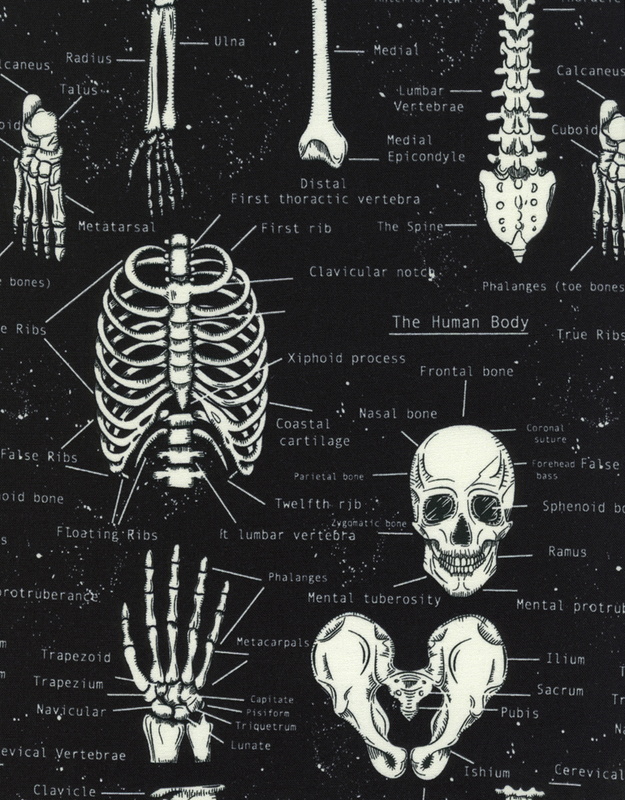 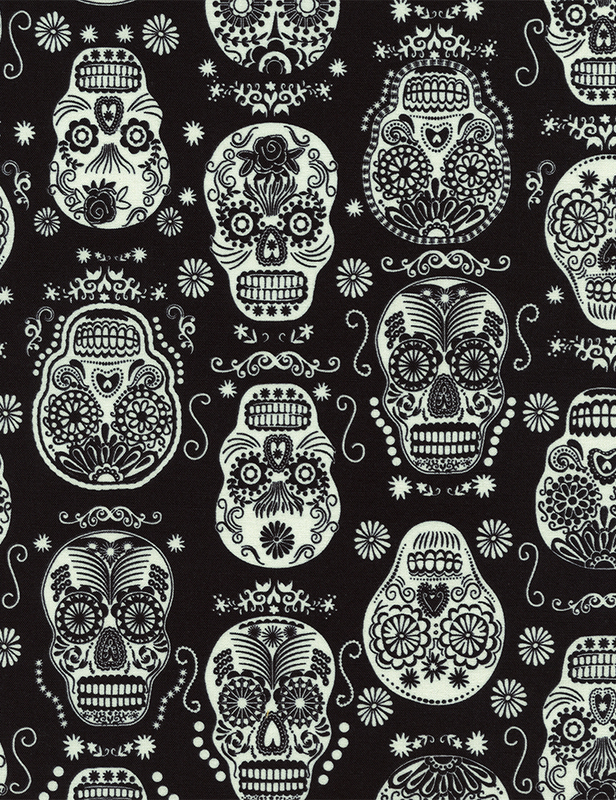 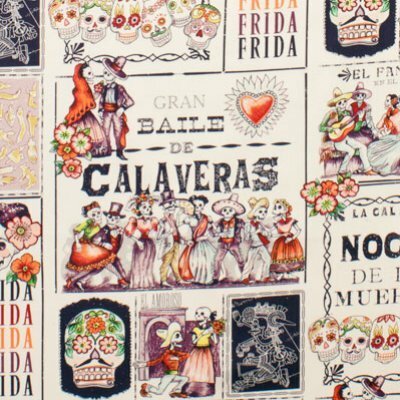 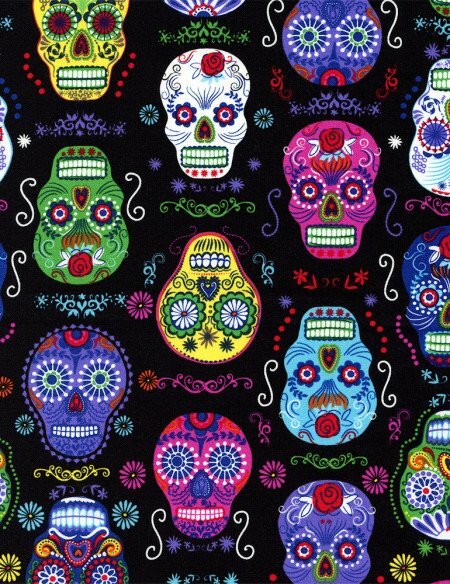 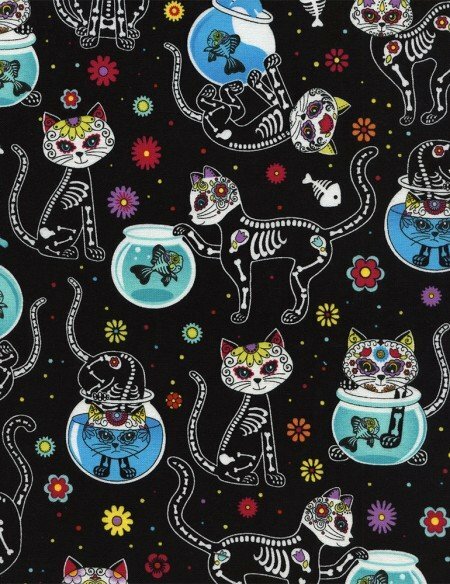 These fabrics can be used for Dia de los Muertos home decor, Day of the Dead sewing projects like curtains, skirts or shirts, or just about anything which calls for a sugar skull, Frida Kahlo or Day of the Dead motif.